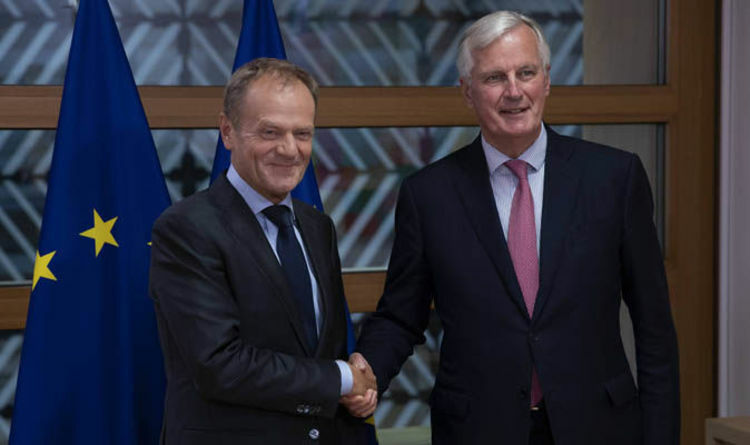 In a stern warning to EU members, the President of the European Council urged leaders to rise to the challenge or risk being hit with the damage of a no deal Brexit “catastrophe”. European Union leaders will discuss how to wind up negotiations with Britain on its withdrawal from the EU when they meet in Austria on Thursday, summit chair Donald Tusk said. In an invitation letter to leaders, published by the Council, Tusk proposed the 27 leaders focus on three issues. “Second,” he said, “we will discuss how to organise the final phase of the Brexit talks, including the possibility of calling another European Council in November”. Third, Tusk said, the leaders should “reconfirm the need for a legally operational backstop on Ireland, so as to be sure that there will be no hard border in the future”. This is the main point of disagreement with London at present and refers to efforts to monitor post-Brexit trade with the British province of Northern Ireland to avoid reviving political violence there. He wrote: “Let me recall that limiting the damage caused by Brexit is our shared interest.